These are the most common insurances accepted by Dentists in Minneapolis, MN. I have been a patient of Metro Dental for several years - always a good experience. Everyone is very helpful, professional and accommodating. Thank you..
Don't like wearing the safety glasses to get my teeth cleaned.. Gentle Touch and Professional Job The whole experience, from making an appointment to sitting in the chair, is outstanding. Dr. Micek and his team at Birchwood Dental make the experience so seamless and smooth. Dr. Micek gets the job done right. His attention to detail is exceptional. I had to go to another doctor for a procedure, and the other dentist mentioned twice, unprompted, about how well the dentist who did my crowns did. I couldn't give Birchwood Dental a higher recommendation. If you are looking for a Dentist, go to Alex Micek..
A Great Choice for a Dentist I have had many fine dentists as we moved around the country (and also within this area). 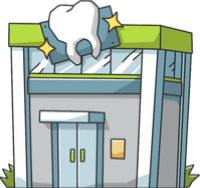 But this is the best office, dentist, and staff. Their communication system is easy to navigate. I feel I am in good hands and that and procedures that are recommended are really needed for the care of my teeth and gums..
Great Staff I always come in on Thursdays because I love Dr. John. Thanks for your great service!! !.